The Fiji Beach Shacks on Vanua Levu are located just 6 kilometres from the Savusavu township and are perched up high providing spectacular views. These beach shacks offer holiday makers quality accommodation with a truly unique experience of the true South Pacific, with time to reflect and rediscover the lost art of relaxation. Guests can swim in the warm tropical waters and enjoy some of the best snorkelling in the world directly in front of the Fiji Beach Shacks. You can also go beach combing for shells or kayaking, which in these calm waters can be a great way of really immersing yourself in what nature has to offer. Budget conscious holiday makers can sit back and relax in The House of Bamboo, which is your own private hideaway in this tropical Fijian paradise. Also when you stay at the Fiji Beach Shacks scuba diving, sailing and fishing charters can be easily arranged for you. AT the Fiji Beach Shacks holiday makers can experience hiking, diving, sailing, snorkelling, fishing and all sorts of water sports. 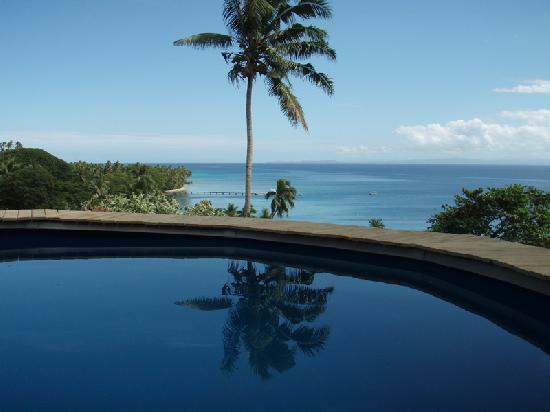 You can swim in the warm tropical waters of Savusavu Bay, take a dip in your own private pool, go beachcombing for shells or kayaking, scuba diving, sailing, fishing charters and mountain biking. Many people prefer to relax by getting a massage or take a trip to the local produce market with its variety of fresh tropical fruits, fish and seafood. Savusavu is also home to J Hunter Pearls and they offer tours of their Black Pearl farm ending with a visit to their retail store.